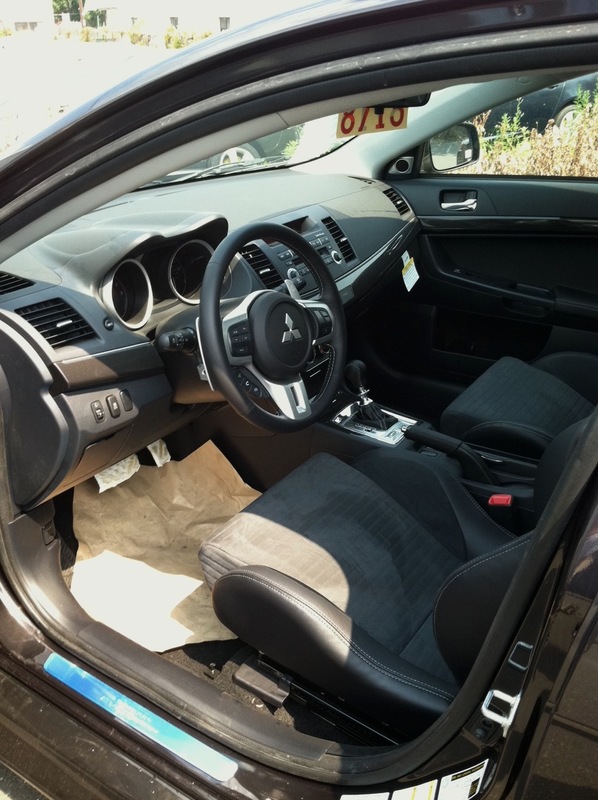 Where to begin with the 2011 Mitsubishi Evo X. Firstly I don’t want to like this car as I think Evos in the past have all been vulgar and the stylistic equivalent of a thong on an donkey—-HOWEVER in my quest to find a new AWD daily driver, I decided to be fair and test one of the most reputable performance sedans on the market today. 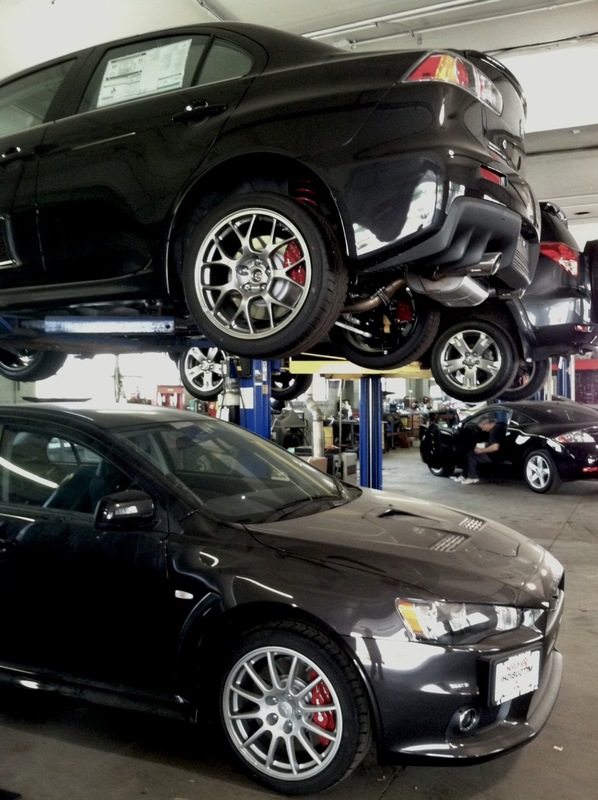 Originally I first went to Subaru dealerships, only to find that Subaru dealerships are completely devoid of any stock when it comes to WRX STIs—-attributed primarily to the Japan tsunami disaster. Mitsubishi on the other hand, is supposed to also be devoid of these cars; however as i’ve gathered they don’t exactly fly out of the showroom. These are very ‘niche’ cars with a very niche audience; and an audience which mostly cannot afford a $35k+ car brand new. 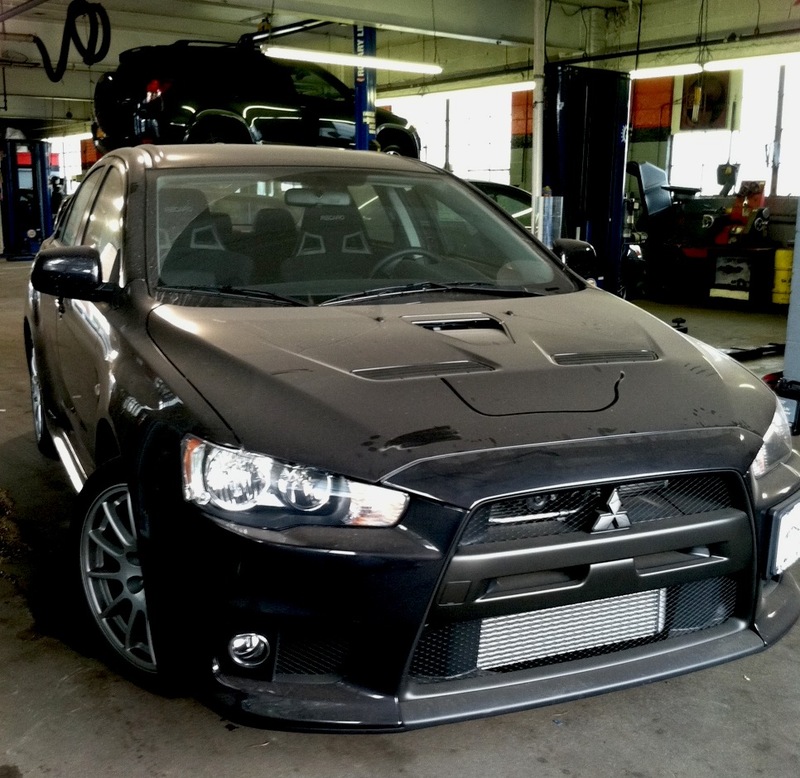 I am guessing there are plenty of kids checking Auto Trader regularly trying to find the first Evo X which gets offered for less than $20 grand, as their lives’ ambitions would be met…..and now i know why. The interior was obviously designed by the same group of drunkards who designed the exterior, however again things are not as bad as they seem! The quality and fit/finish were surprisingly not terrible, and I felt that some thought was put into the cockpit of the car. The Recaro leather and alcantara (!) seats were absolutely fantastic in every way—-cradling me like a child that had been gently floated away into a river by war torn parents in the Moghul Empire. The MR was accompanied by a dual clutch SST gearbox which had the auto-type shifter with paddles attached to the stalk of the steering wheel. It really wasn’t a bad place to be—and in some ways I would argue that I preferred being in the Evo X over the BMW 335i i reviewed last week. There was a sense of purpose and of direction—even through the haphazard display of drunkenness. Let me just get it out of the way first, that this car is phenomenal to drive. Yes I found the SST gearbox to be a bit frustrating as the paddles were on the stalk instead of the steering wheel, and yes the gearbox kept shifting into auto-mode when i wanted it in manual-mode—-but when it all works, it was definitely one of the nicest dual-clutch systems i’ve ever driven. The handling on the Evo X might be the best handling I’ve felt on a car since I drove a Lotus Elise several years ago when I was living in Chicago. The steering is incredibly direct (especially for a 4-door sedan), and the alertness by which it gets down the road really is a wonderful thing. This car feels properly alive and doesn’t suffer from that lay-down-relax-oh-wait-accelerator-has-been-pressed-please-pay-attention feeling that I have personally felt on so many ‘upscale’ european performance saloons. You can gather that this was made for just driving, and not for any other reason. It just so happens that it can comfortably seat 4 people (not so comfortably, 5), and that it has some trunk room (not much, due to the gigantic subwoofer occupying 15% of the trunk). The ride is stiff and communicative, and over bumps there is a harshness which may backfire if this car were to be a ‘family car’. The brakes (Brembo) are also superb, as expected. If I have to make any complaints about the performance, it is that there is plenty of turbo lag when one is in the wrong gear. I found myself in 3rd through a turn, put my foot down—and felt virtually nothing until the boost range kicked in. That could be kind of annoying around the city, however nothing substantial enough to cause riots in the street about. As a track car that can be driven every day—-i don’t know if there is a better car around at the moment. I would love to drive one of these on the track, because I have a feeling passing all the little souped up german coupes would be a riot in this drunk looking 4-door japanese mess! Then again, Evo drivers have been doing this for ages on the track….so i should have known this was going to be a great car to drive. I love the Evo X. It is one of the best cars i’ve ever driven. Obviously I could never get myself to buy one. Why? I am not really sure. You can call me superficial, but I do hold high regard for styling issues in automobiles. I am a great believer in the art of the automobile, and have created a full blog devoted to the art of the automobile. That being said, there is a nasty, uncouth side of me which is kicking and screaming inside my head saying “buy the Evo!!! 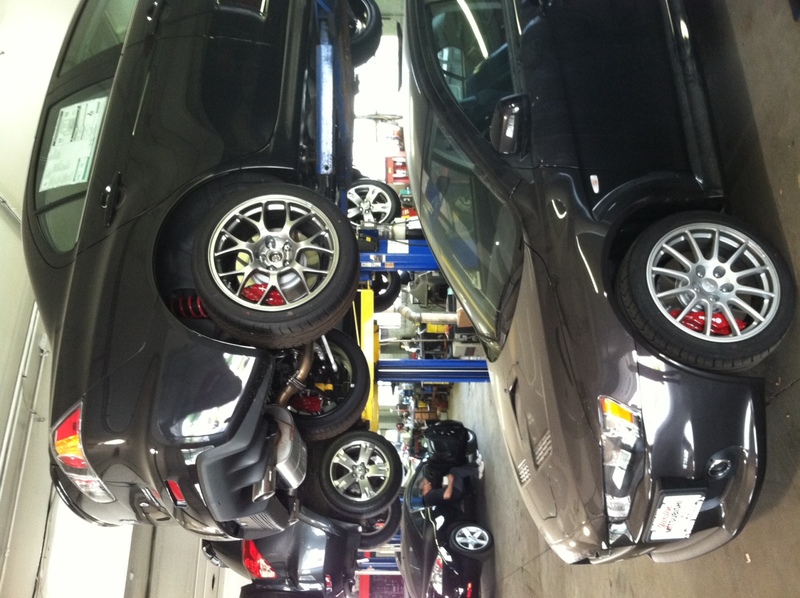 buy the Evo!! !” and i’ve been trying to tell it to shut up since i drove it. 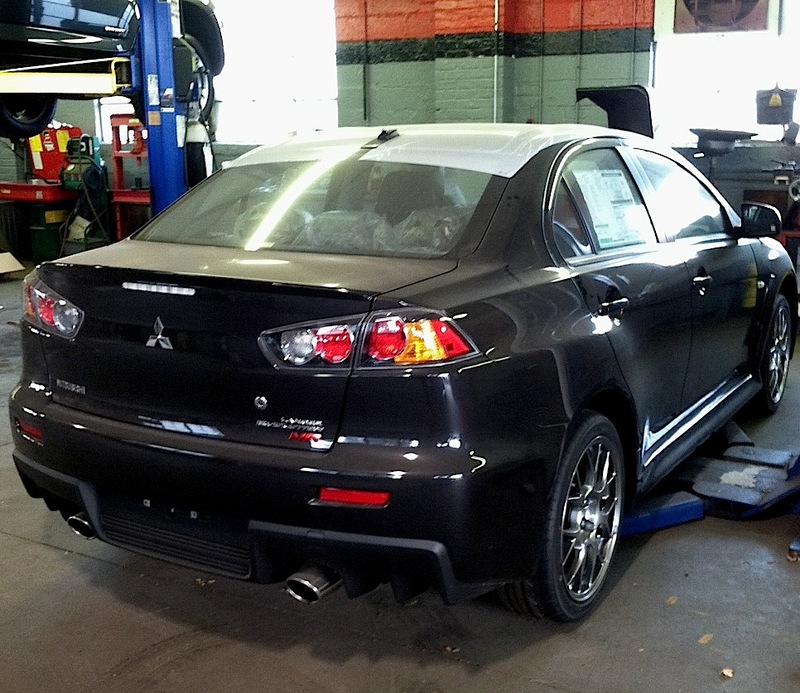 The Evo X isn’t as cheap as you may expect—–the price for the car I tested was $42k+. That is firmly within BMW and Audi-land—-but i dare you to find me another $42k somewhat-practical sedan that can do anywhere near what the Evo X can do. I think for the right person, there would really be no substitute for this car—somebody who doesn’t care about fuel economy (it averages 17-20mpg), insurance (sky high), ride comfort (feels like the 3rd stage of a rally), and practicality (the trunk is filled with a subwoofer, battery, and coolant fluid). I would recommend you go and drive one though—it is a fascinating car. i think this should be your next car. then you should let me drive it. You are loosing a lot of traffic. You need high PR backlinks to rank in top10.